We believe that all children deserve access to high-quality education. Our grantmaking focuses on dramatically increasing the number of children from Philadelphia’s low-income communities who experience academic success. In addition to the ever-expanding research base, Philadelphia has clearly committed to supporting young children through initiatives such as PHL Pre-K and the READ by 4th campaign. In alignment with research and local momentum, the William Penn Foundation is heavily focused on supporting young children from birth to age eight. We support progress toward school readiness and literacy proficiency using six strategies. Children thrive when parents and extended family are connected to their learning. Research shows that, when parents are equipped with the right information and are working together with centers/schools, children are more prepared to enter kindergarten and are more successful academically throughout the school years. To this end, we fund programs that help parents and caregivers support their children’s social, emotional, and academic learning, whether in homes or in communities. We support evidence-based home visiting models as well as innovative two-generation approaches that meet the needs of families with young children as a whole. We also fund programs that result in approaches and materials that help families understand and support children’s learning and development. View additional details about the requirements and tactics for Engaged Families grants. Given that school-age children spend less than twenty percent of their waking hours in school, valuable learning opportunities emerge outside of school. Community-based organizations, libraries, museums, clinics, and community centers can play an important role in providing literacy-rich settings that help children build language skills in the summer, after school, and on weekends. We support efforts to provide high-quality, literacy-rich programming and environments for children throughout the city. View additional details about the requirements and tactics for Literacy-Rich Environments grants. Low student-to-teacher ratios, evidence-based curricula, and meaningful interactions between teachers and students create high quality, collaborative, and joyful learning environments. The quality of early childhood educational settings can significantly impact the academic and social-emotional development of children. High-quality programs lead to increased school readiness and higher academic achievement, along with reduced crime and economic returns for society. We support projects that expand high-quality early childhood education settings, improve the quality of existing centers, and enhance the infrastructure that supports enrollment of all children in high-quality settings and their transition to kindergarten. View additional details about the requirements and tactics for Quality Early Childhood Education Centers grants. Teaching literacy means more than teaching the ABCs. It’s about helping children to read, write, understand, and communicate what they think and feel. Grade-level reading proficiency by the end of third grade has been determined to be highly predictive of future academic success. Sound instructional practices must be in place for that to happen. We support the growth of knowledge and skills of educators to support the literacy growth of students from kindergarten through the third grade, and to promote strong models of instruction for educators to learn from each other. View additional details about the requirements and tactics for Strong K-3 Literacy Instruction grants. Teachers are the most important in-school element in students’ early learning. To ensure that every school and childcare center has the staff it needs, Philadelphia must be able to recruit, train, and retain professionals who are well-prepared. We fund policies, programs, and systems that prepare and support high-quality teachers to work with our children. View additional details about the requirements and tactics for Qualified Educators grants. To ensure that Philadelphia’s young learners succeed, society needs to adequately and equitably fund schools, childcare centers, and educational programs. Only with sufficient, stable funding can schools and centers offer the instructional supports and enrichment necessary for preparing strong readers and improving student outcomes. To help move Pennsylvania forward, organizations across the Commonwealth are advocating for state policies to help reach this goal. We support coordinated statewide efforts to advocate for the development and maintenance of policies that appropriately provide resources for schools, centers, and educational programs. View additional details about the requirements and tactics for Advocacy & Public Information grants. Children’s Literacy Initiative works with teachers to transform instruction so that children can become powerful readers, writers, and thinkers. 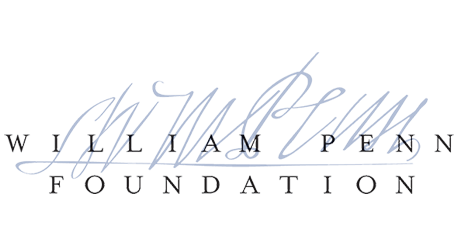 The William Penn Foundation has supported CLI to provide seminars, coaching, materials, and strategies for structuring and managing a literacy-rich classroom environment. The Foundation underwrites efforts that build evidence, improve quality, expand service, or change policy to yield transformational and long-lasting educational improvements for children. Prospective grantees are welcome to submit proposals that address one or more of these goals. Learn more about Great Learning's grant making process, eligibility requirements, and grant making timeline.